Brittany Ackerman is a writer from Riverdale, New York. She earned her BA in English from Indiana University and graduated from Florida Atlantic University’s MFA program in Creative Writing. She is a Critical Studies instructor at AMDA College and Conservatory of the Performing Arts where she teaches Archetypal Psychology as well as Applied Logic and Critical Thinking. She was the 2017 Nonfiction Award Winner for Red Hen Press, as well as the AWP Intro Journals Project Award Nominee in 2015. She currently lives in Los Angeles, California. Joseph C. Robledo was born and raised in Pasadena, CA, the adopted home of his iconic father Canto and the birthplace of Canto’s famous Crown City Boxing Stables. Joseph’s life was interwoven with boxing, as he was close to his father and an integral member of Canto’s team in and out of the ring. Joseph was an amateur boxer as an adolescent and won the Junior Golden 65-Pound Novice Division Championship in 1956, when he was also named Most Outstanding Fighter in the tournament. His overall ring record was 27-3-1 by the time he stopped boxing to focus on his academic goals. I knew that in order to methodically calculate the moments I had to meticulously plot out what it was I was trying to say. In this way, the collection is like a science project. This book is how I will try to save my brother, or more largely how I will attempt to save the world by making people understand the pain we’ve all been through, the visceral pain that accompanies longing for some past impossibility. My preparation has been “in the field” and living through it, gathering notes, experiences, and findings; it has all been one giant experiment—to see if we could make it out alive. "One of the most important types of love—the love between siblings—has perhaps also been the least-carefully explored in contemporary literature. 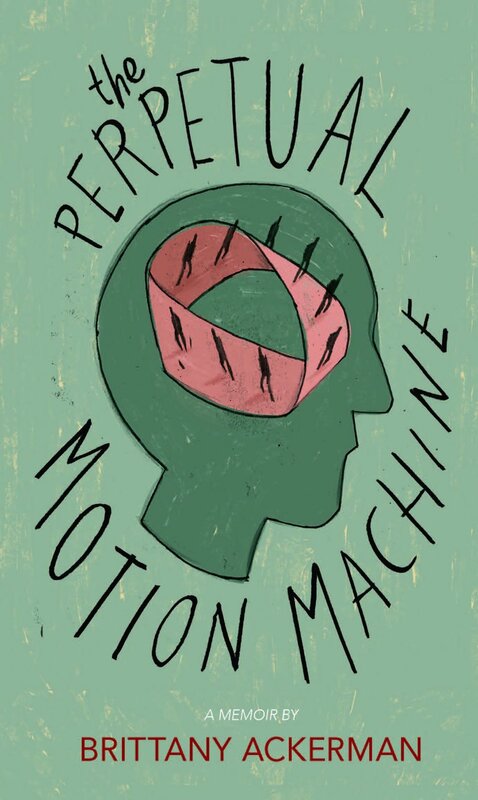 Count Brittany Ackerman's instantly engaging and wildly engrossing memoir, The Perpetual Motion Machine, as a headfirst dive in the right direction. Her prose is accessible and affecting, and her family story is exquisite in its luminous detail and intimacy, full of heartbreak and humor—as simple as an abacus, as expansive as the starry night sky. I loved this book!"